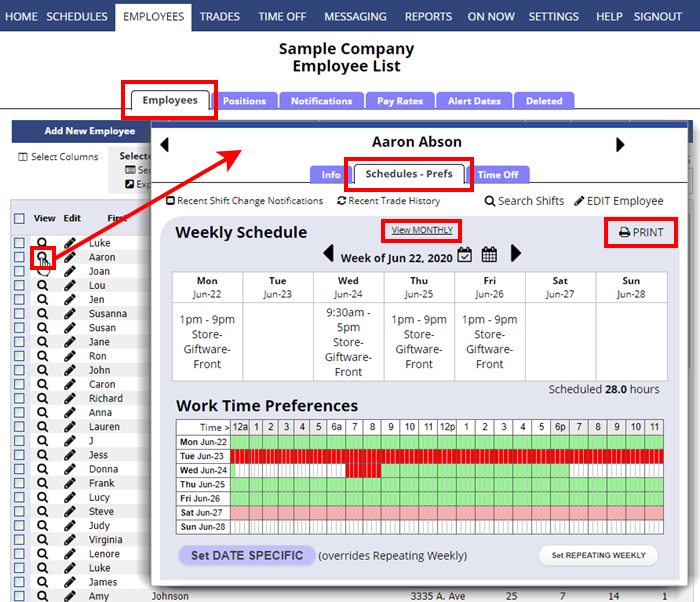 You can print a schedule from any of the 12 schedule views using the Print button. To create a PDF file just click the Print button and choose your PDF printer. 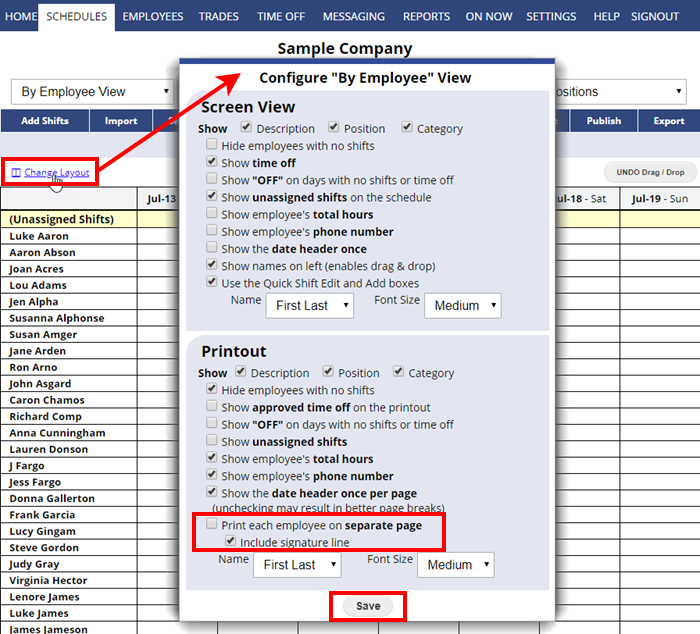 Use the “Change Layout” link before printing to set up how your printout will look on each schedule view. Note that you can control the page margins, landscape printing, header/footer, and many other functions under your browser menu File>Page Setup. Set your browser options and your Change Layout options first, then click the Print button. We recommend exporting your schedules to your computer or to Google Calendar as a backup – either by using the Export button on any schedule view, or by using the REPORTS section where you can specify a date range to include in the export. You also can print your schedule to a PDF file for reference if you like. You also can export to many different file formats for use with other programs.